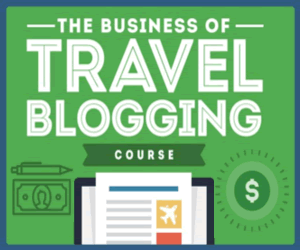 Travel writers, did you know that blogging is one of the best and safest online businesses? Would you like to work from home or anywhere in the world? It’s simple and relatively inexpensive to become a travel blogger. The only thing you invest in is your time. Are you a writer? Are you able to write travel articles about what you know or what you love? Good News! 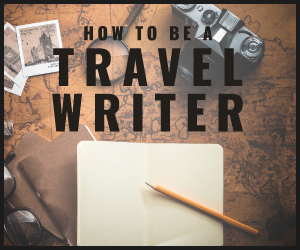 You qualify to become a travel blogger. Before you begin, you can read what others have written on the same subject. Let’s say you took a trip to Barcelona, Spain. Read travel articles about Barcelona then write your own article about your experience in Spain. Choose a niche or topic. If you are a pet lover, you could blog about traveling with pets. Perhaps you are a backpacker. Your BLOG could be about “backpacking” vacations. Just a few suggestions. Register a domain (sign up with a web hosting company) for your blog or sign up for a FREE blog. There are many FREE blog sites out there such as Blogger and WordPress.com. FYI: If you sign up with WordPress.org you will have to find a web hosting company. I hope you know HTML, CSS, XHTML, and all of that other “techie” lingo/stuff. If you are a “newbie” to web design, it can be daunting. Shop around for a hosting company before committing to a one-year contract. Most hosting companies have contracts that range from three months, six months, and one-year. Try it before you really buy it! People read blogs! Start writing and posting your articles. Keep your blog up-to-date. Post new articles at least a few times per week. Monetize your blog. A tool for blog monetization is Google AdSense. Google AdSense displays ads on your blog that will make money for you when people click on them. Other blog monetization tools are CJ, Link Share, and Performics. Google AdSense, CJ, LinkShare, and Performics are FREE! Make it easy for readers to subscribe to your blog using RSS feed. This is a tool that makes blogs different from ordinary sites. The RSS feed informs readers subscribed to your blog that it has been updated. Don’t give up! Blogging is like any other business. In the beginning it can be hard to get started. You may become discouraged because your blog doesn’t make money or makes a very small amount of money in the first months. If you keep at it and don’t give up, your blog will become your full-time job!! Read and check other related blogs on a regular basis. Check out these blogs for inspiration: netprofitstoday.com, roamsters.com, and quityourdayjob.com.